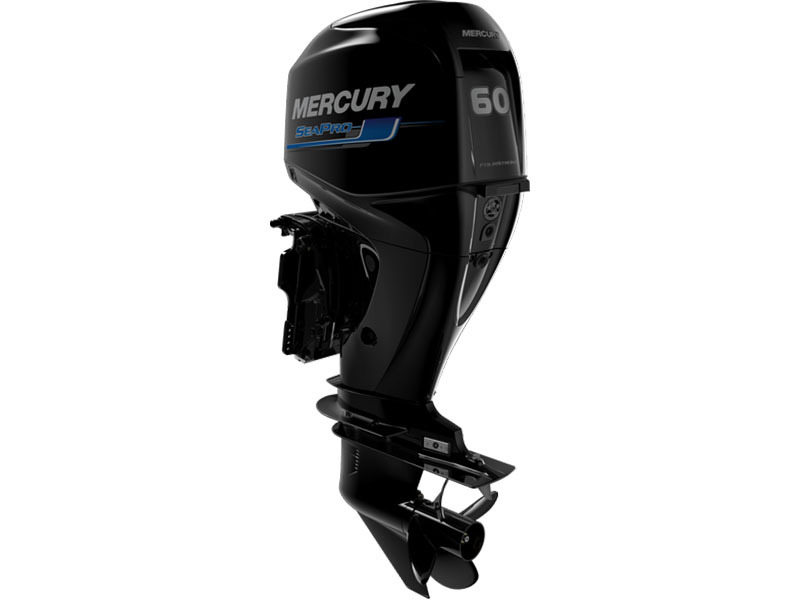 ENGINEERED FOR COMMERCIAL - Engineered to deliver longer engine life while maintaining the power and performance necessary to get the job done, the 60 and 40 hp SeaPro FourStroke engines are validated to three times the engine life of a recreational engine. COMMAND THRUST GEARCASE - The 60 and 40 hp SeaPro FourStroke engines come standard with the Command Thrust gearcase.&nbsp; Its larger torpedo, combined with a bigger-diameter prop, can lift a heavy boat onto plane more easily and hold it there at lower speeds without impacting top speed. CORROSION RESISTANCE - Mercury’s proprietary formula – XK360, is an extremely low copper content aluminium alloy, which leads the industry in corrosion resistance. This makes costly corrosion failures and high labour bills a thing of the past.